We’re hitting the home stretch of the season now, with just 10 games left before the playoffs. I’m really proud of where we stand. We’ve had some ups and downs of late, but we do a good job of not getting too high or too low, and that’s a credit to everybody in this organization—coaches, players, staff, everyone, top to bottom. That’s a big reason why this season has been really special to me. I’ve been here for seven years now, and in that time, this franchise has had a lot more valleys than we’ve had peaks. It makes it that much more rewarding to see us have success. Over the last few years, we’ve added some guys and seen some guys leave, but we’ve maintained a certain group who have kind of been our core. It’s been special to go through this year with them. I hope this season has been special for our fans, too. We’ve had some seasons that were probably pretty tough to be a Utah Jazz fan, but they’ve been loyal and stuck with us. As a player, it’s cool to see all the excitement in the city, and the fans really coming alive behind us. We’ve had some big wins since the All-Star break against teams that have kind of had our number in the past. 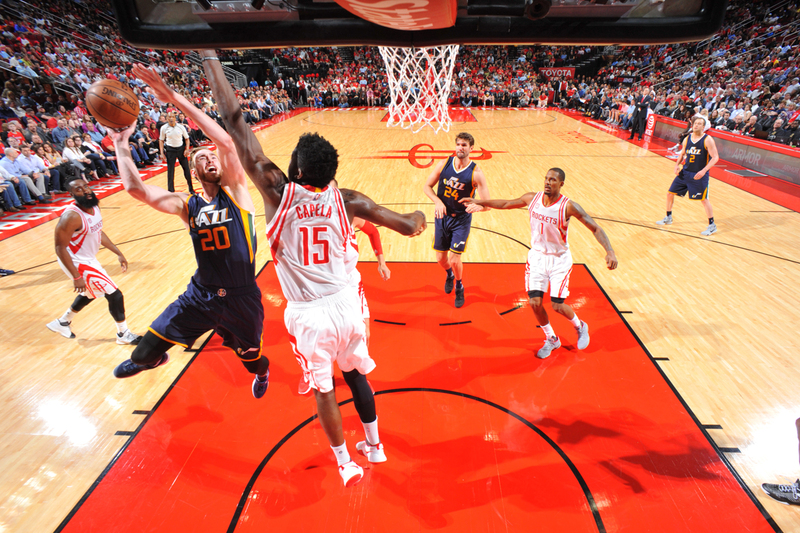 We went into Houston and beat them a few weeks ago, then followed that up with a win over the Clippers at home. There’s a different feeling around this team than there was before. One of our problems in the past was that we lacked confidence because we had struggled against those teams before. We would let doubt seep in. But that’s not the case anymore. Going into both those games, we had a mindset of, “This is our game. We can win this game.” Because of that, we played a lot better. We didn’t play nervous or scared. It’s fun to play in those games. That game against the Clippers had a playoff-like atmosphere. 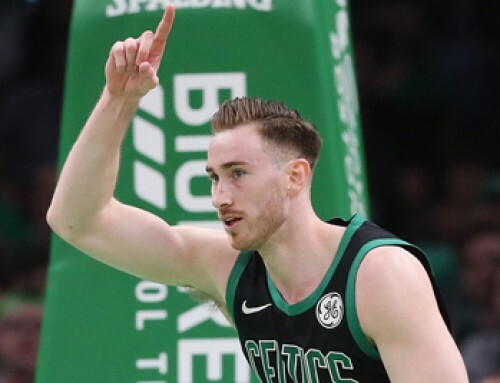 You make a couple of buckets in a row and it almost forces the other team to call a timeout because the crowd is so into it. That’s huge for us. It brings the energy up, and we thrive on that. When we’re playing well, for the most part, it comes down to really executing our game plan. 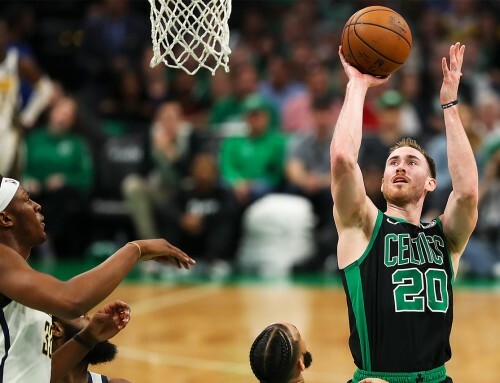 Whether that’s a specific defensive plan that the coaches have for us, or specific offensive things we want to exploit, as far as match-ups and how other teams are guarding us. We’ve just done a good job of executing, and that’s a credit to the coaches for putting us in positions to succeed. Even when we’ve had some lulls, we’ve been able to bounce back pretty well. Part of that has to do with some of the veterans we have on the team. A lot of them have been in playoff situations and have been on really successful teams. They knew that, after the break, we had to amp it up a little bit. So we’re following their lead. Coming into the season, we expected to lean on those guys at different times. Joe Johnson has been huge for us, especially of late with some of the injuries we’ve had to deal with. 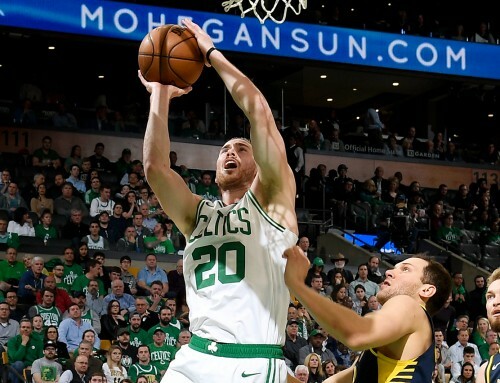 We’ve kind of transitioned and moved him into playing a lot of four for us, and his impact and his versatility have been really important to our success. He’s a guy that’s been able to make plays for us in crunch-time situations—not only for himself, but for other guys as well. His shot-making ability has been a great addition, too. We’ve also leaned heavily on Joe Ingles. He’s stepped into a bigger role for us this season and he’s been tremendous for us. I give him a lot of credit because he’s been here a few years, but with the additions we made this offseason, he didn’t know what to expect as far as the rotation, and whether he would be in it or not. But he’s just come to work every single day, and whenever someone was injured, he stepped up and was big. He’s definitely worked himself into the rotation now, and there’s no question that he’s a key piece of our success. It just goes to show how important depth is in this game. 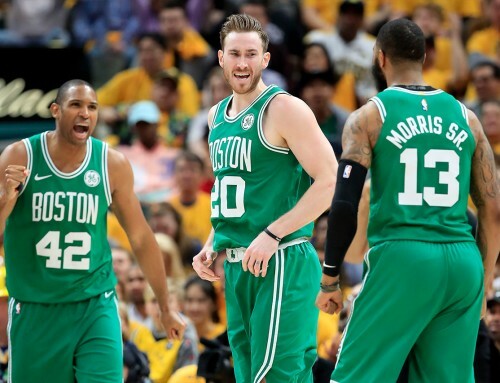 You can build a great core of players, but things happen over the course of the season that are beyond your control, and if you don’t have guys on your roster who can step up, things can fall apart quickly. 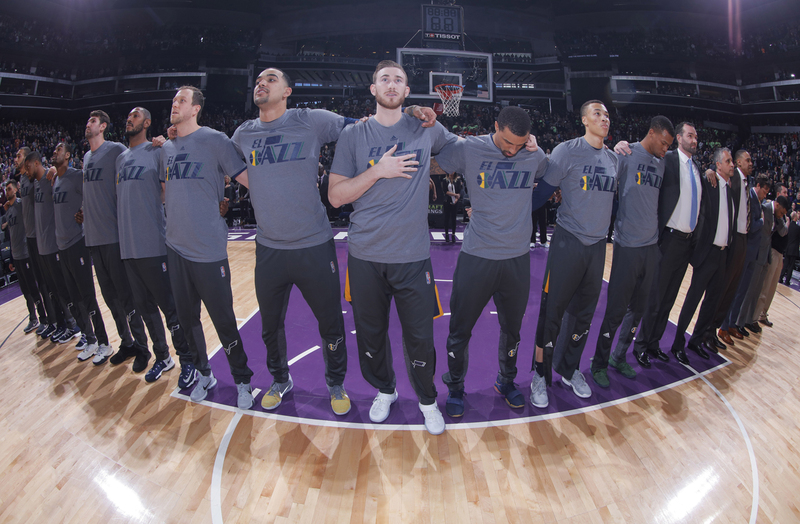 As the regular season comes to a close, this is the time we really want to come together. We want to be playing our best basketball come April. To do that, we really need to get back to our principles and play well defensively. That has to be our calling card. It’s what keeps us in games, especially on the road when we might not have our best shooting night. On the offensive end, we want to make sure that we’re coming together as a group, playing for each other, and playing a connected and fluid game. We have some tough challenges here in our final 10 games, so it’s going to be a good test to see where we’re at, and where our concentration is going into the postseason. Home-court advantage is definitely something that we’re striving for. I think that would be a big help for us, especially as a team that doesn’t have very many guys with playoff experience. That being said, it’s definitely not an end-all, be-all for us. I’ve never been on a team that’s won 50 games, so that would definitely be cool to achieve, but I don’t necessarily look at that as a goal for us, either. We’ll take as many wins as we need to get to be where we want to be. It’s never a certain number. We want to make sure that we get in the playoffs, and obviously, we want to try to get home-court advantage. If we can do that, then you roll with it in the playoffs. I’m really looking forward to the run heading into the playoffs. There’s a different kind of energy to these games. They’re all really meaningful as teams are jostling for position, and that’s something that I haven’t been a part of too much. The environment in these arenas, especially at home for us, has been incredible. I’m so thankful for the support of our fans all season. We need you guys now more than ever, so let’s get ready for this run we’re going to make. 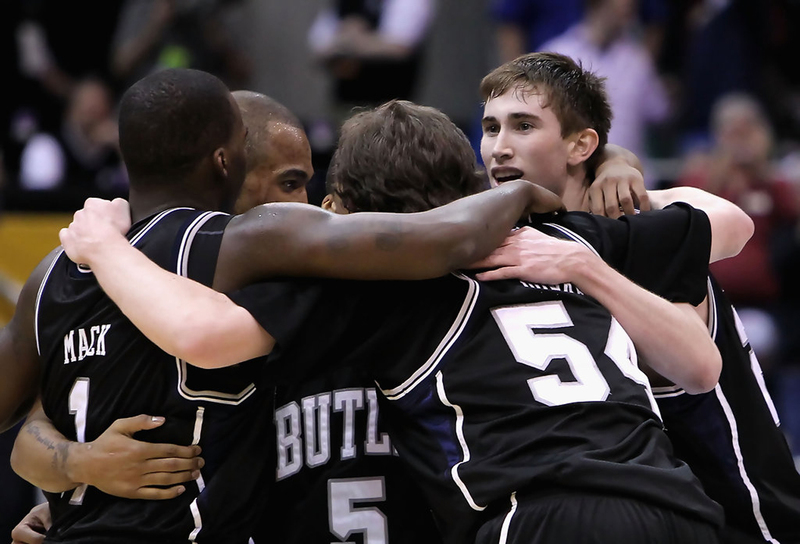 While I’ve spent the vast majority of my time focusing on what we’re doing in Utah, I’d be remiss if I didn’t give a shoutout to my guys over at Butler. I’m definitely excited to see what they can do in the Big Dance again. They hadn’t made it to the Sweet 16 since the year after I left, so it’s great to see them back. They’ve got a tough challenge ahead, but one thing I do know is that they’re going to have a good game plan. They’ve always had great scouts, and they’ll be prepared. They’re a dangerous team for sure. They’re always dangerous come March. I just hope, regardless of the result, those guys really enjoy the experience. Throughout my career I’ve been in situations where I’ve been in big games and big moments, and I’ve leaned on the ones I went through at Butler. I can imagine that will help me in the playoffs as well. So all those experiences are things that you can try to learn from and use in your future career. That run we went on the through the tournament, getting to the NCAA title game my sophomore year, was kind of the moment where I really thought I might be able to play in the NBA. There were guys that we were going against who were projected lottery picks and expected to be big-time players in the NBA. And I felt like I matched up well against them and went toe-to-toe with them and came through successfully. I really didn’t even think about playing in the NBA too much before that. It was always a dream, but that was kind of about it. After going through the tournament and making it all the way to the final, it was something where I felt like I might have a chance. I’d say it’s worked out pretty well. 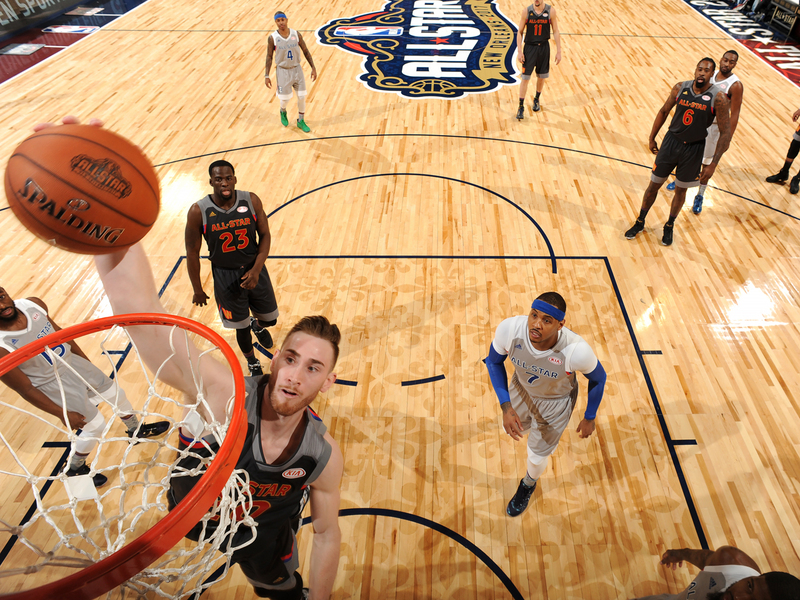 I was so honored to be an NBA All-Star this year, and the experience in New Orleans was one of a kind. Being recognized as one of the best players in our game is humbling. I was thrilled to be a part of the whole thing, playing in the main event itself, not just kind of a side note as I had been in years past. Being around some of these guys all weekend, on their level, talking to them and hanging out with them, was really cool for me. It gave me a lot of confidence. It’s kind of strange to say, but I really enjoyed the practices. We practiced in front of a bunch of fans, so they had us doing little events and games with everyone there. The atmosphere was light-hearted and fun, so that was something that I liked a lot. Participating in the Skills Challenge was a lot of fun as well. It was a great event, but it went by so fast. I’m not sure what I was expecting, but when you watch it on television, it seems like there is a lot of time between everything. There really isn’t. There’s not that much time to warm-up. You take photos, go out on the court, and then it’s like, “All right. You’re up for Round 1.” And you go right into it. Then, they have you doing it really kind of back-to-back-to-back. It was funny because it was this whirlwind where all of a sudden I found myself in the finals, and I felt like it took no more than 10 minutes. I wish I would have won, but Kristaps was locked in. I was a little surprised that he hit the first pass and the first shot, so I didn’t necessarily have a chance. But we’ve all seen his game, and his abilities, and what he’s able to do. He’s a great player and a very skilled big man. I think I was ahead going into the layup, but I got caught and went too far under the basket. So he was ahead going the other way, made the shot and I didn’t really have a chance. Still, it was fun to be a part of it. Kudos to him for the win. 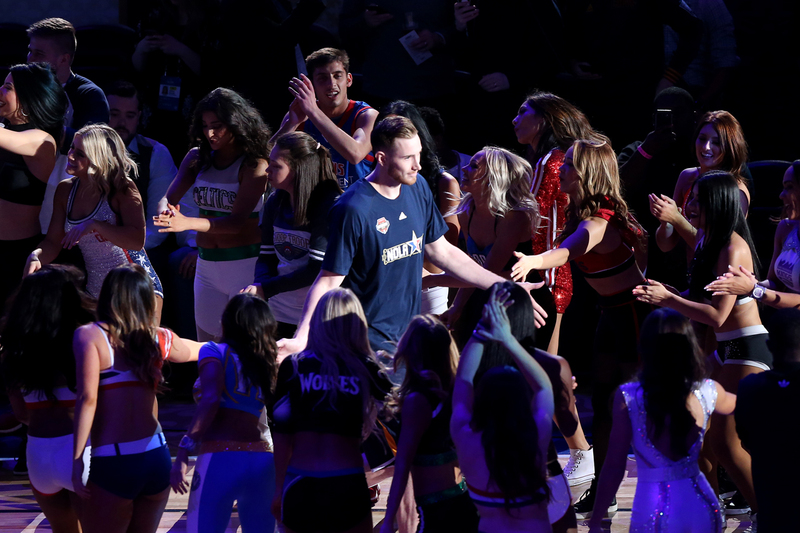 The All-Star game itself wasn’t really much of a game, and as a first-timer, it was hard to know exactly what to do. I tried to follow everyone else’s lead. There really wasn’t much defense. It was kind of just a show. When you got the ball, you shot it or passed to somebody else who dunked it. I got a couple of dunks. I think I had a couple of passes for dunks, too. Somebody said I tied for the game lead in steals. I guess that’s not saying much, considering there was no defense. But because it was my first one, I didn’t know exactly how to play, how hard to go, or anything like that. I do think it would be better for everybody if it was played a little more seriously, and was more like actual basketball. It’s tough because you don’t want to get guys hurt. Nobody wants to get injured in a game that doesn’t count, so either everybody has to play hard, or no one does. Because when one guy is going full speed and the other one is not, that is where you can get guys hurt. I’m sure they will figure out something soon to make it more competitive. The goal of the weekend for me was to try and soak it all up. You only get selected to your first All-Star game once. So I had a bunch of family there, and tried to really enjoy every moment. My mom and dad were down there, as well as my sister and her husband. Obviously, Robyn was there with me, and her dad and two brothers were also able to come down. So I had quite a few people there. There’s so much going on, so I didn’t get to spend too much time with everybody, but I got a chance to have dinner with them and hang out for a little bit. Robyn and I enjoyed having some time off from parenting. We had a couple of nights where we could hang out just by ourselves, which was fun. But you don’t realize how much you miss your kids until they’re not there. We found ourselves wondering what they were doing, and trying to do video calls to see them. They’re not exactly old enough to really understand video calling, but we just wanted to see them. We both definitely missed them a lot. At the same time, we for sure enjoyed the time off in a really fun environment. I had never seen New Orleans like that. It was just crazy packed. I’ve been there plenty of times on road trips, but a lot of times you’re there for a game day and then right back out that night, headed to the next stop on the trip. I had been around the city a little bit when I was a rookie. I remember we were given the task of going and getting the team beignets from Cafe du Monde. So we walked around, got something to eat, and went to some of the little shops. It was cool to experience it then. But I hadn’t knocked around New Orleans in a long time, and All-Star weekend was on another level in terms of the environment. People were lined up on the streets. Of course, it was Mardi Gras there too, so that only added to the chaos, especially at nighttime. You had parades popping up out of nowhere all of the time; it seemed like the whole, entire day. So traffic was gridlocked. There was nowhere to go. It was just a lot of people having a lot of fun. It was something I’ll never forget. Thanks for putting on a great show back home against the Pacers but sorry you did not get te W!! Pacers played one of their best games they have played all year! Good luck the next 10 games & congrats for making the playoffs this year! I appreciate the posts that you do here and the candor with which you explain your thought process. I want to address one thing you mentioned in your post: peaks and valleys. As you mentioned, that Jazz have had more of the latter than the former in recent years, and I believe the main difference has been you and Rudy. Your progress has given the Jazz a legitimate step forward each of the last several years, and when I saw that, I bought my first Jazz ticket of my life. I’ve been a fan my whole life, but I’ve only been able to go to the games when a friend had an extra ticket. This year, however, I bought two season tickets, because by the end of last year, I could see exactly where this train is headed. I don’t know if you know this, but season ticket holders recently had to decide if we were going to re-up for next year. I pulled the trigger. I told my wife that as long as you sign with the Jazz, it will have been a smart decision. If you leave, I will regret having made the purchase. The Jazz have not reached their peak. You have not reached your peak. With the core + more, your ceiling is an NBA championship with the Jazz. That will be a legacy not shortly forgotten around the NBA, and never in Utah. Stockton was my favorite player. He was a cornerstone in my childhood, because he stuck with the Jazz and built something great. He helped the Jazz to their highest peak yet. You are my girls’ favorite player. You’ve been here seven years. You are becoming a cornerstone in their childhood. You can be their John Stockton. Please stay. I don’t want to regret my purchase. I’d much rather have my girls’ go wild as you and Rudy lift a trophy together. Stay in Utah for your whole career, we need to make a statue out of you. And good luck in the playoffs. Please dunk all over the Clippers tomorrow and in the playoffs since they’re a bunch of babies. Best thing I’ve read all month! I love hearing this insight from you. Also, that picture of your daughters is priceless! Now let’s go make some noise and turn some heads. Utah has your back. Gordon, I live almost four hours away from the arena. I grew up lightening to the Jazz on the radio. I had a sheet of paper that I would keep track of every assist that Stockton got during the season. My boys are 4 years old and 2 years (4 year old is named Stockton). I just brought them down to their first game a couple weeks ago. Stay in Utah! I purchased season tickets for next year. Even though I live 4 hours away I hope to start lots of memories with my boys and the Jazz. I have been a Jazz fan for about 25 years, exciting times are ahead again! Thanks for sharing! 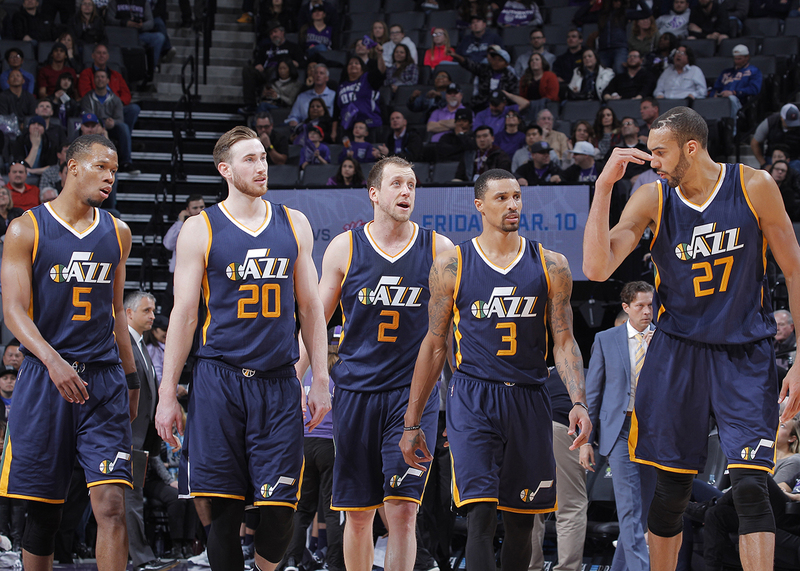 Jazz nation is proud of you guys and we’re all behind you and excited for the playoffs. I’ve enjoyed watching you grow into an all star over the years and am excited for your continued success. Great post! Very real. I watch every game and love how hard you work along with your team mates and coaching staff! Its so sweet to see some of the fruits of all that work Show up for you and the team! It’s great to get a sense of what the mindset of the team is coming from the leader. Good luck down the stretch! Also, congrats on the All Star nod. Well deserved! H20, The big step you’ve made in your game and confidence this year I’m sure is evidence of some blood, sweat and tears behind the scene. I see your game leadership merging the same way LeBron did. You have the same IQ and versatility and feel the need to always get the team engaged first. LeBron started catching hell from media and fans for passing up a clutch shot for the sound basketball play to a more open teammate. We all know the history with LeBron as his late game ball usage increased so did the wins. I see that happening with your game this year in the 4th. Make or miss I think all of us fans get excited about your transition into more clutch play. Your pick and roll 3’s and lobs to Gobert this year is also inducing fear on the NBA. Can’t wait for playoffs!! You have got to be the most humble and down to earth star Utah has ever seen. You are a great example as a team player and a family man in the spotlight of Fame. 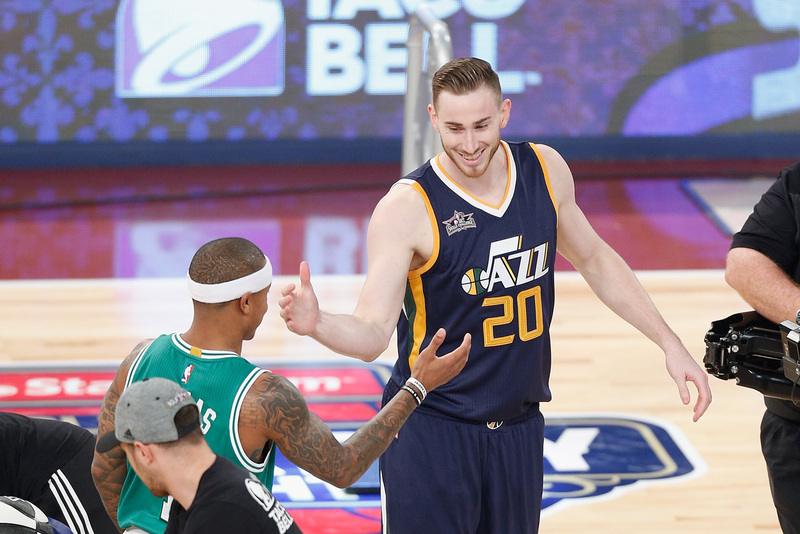 We love you in Utah Hayward and will still look up to you no matter where you go this after season. Thanks for sticking around in our small market and hopefully if it is good for your family we will see more of you. GET IT, GTIME! OH YA, AND DON’T LEAVE!!!! Good luck today against the clippers. I used to be a ball boy for the Jazz back in the Malone/Stockton days. I realized then how each of you are normal guys with an exceptional talent. After I left working there, it was hard for me to get back there to watch a game from the stands. I was a huge fan still, but was tired of being disappointed. When you were drafted and watching you each year, I have been your biggest fan! I will guarantee right now, if you re sign with Utah you will have a statue outside. If you don’t realize your value and worth here, I hope you will soon. The trajectory of growth since you came to Utah will only continue if you resign. As great as the reunion was the other night, the only thing I could think of was when we do it for your team that actually won the championship for us. Go get em! I don’t know if you’ll see this, but thank you for inspiring me to play Ball. You are my Favorite player on my favorite team. I’m trying to join my Varsity team for my school, but only made jv. I think you’re an incredible player, and I hope to see you reach the finals and get a ring during your career. Any time I play 2k, I’m Gordon Hayward. Utah Jazz are your team Gordon, you control the narrative. Stay home, live out your dream, not someone else’s. I remember watching the Butler v. Duke game during March Madness, and you were definitely a standout. I took an instant liking to you and your game, and it just felt right when you got drafted by the Jazz. I was glad they drafted you then, and I’m glad they drafted you now. It’s a good time to be a Jazz fan, this IS exciting! 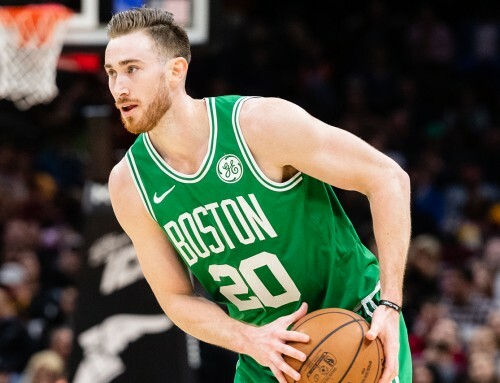 I’m also a die hard Gordon Hayward fan, you’re awesome, I’ll always follow Hayward’s NBA career. Absolutely loved the blog Gordon!!! Keep em’ coming!!! Stay or leave Gordon, thanks for what you brought to the Jazz. Thanks for your hard work, thanks for your game in and game out hussle, thanks for the first playoff games and wins in a long time, thanks for being a respectable player and roll model for kids to look up to, and thanks to the time you’ve spent here. I loved the Deron, Boozer, Okur days of the Jazz, and this team has grown on me as something just as special. You’re a great group and I hope you’ll stick around and the days aren’t over yet. You’ll surely have an amazing career no mater where you go due to the amazing commitment and simply the great person you are. I hope the upcoming successful years you have will be in a Jazz jersey and I get to continue watching you grow and become even greater. Thanks for everything Gordon, best wishes. Go Jazz! First Jazz player I’ve truly admired since Stockton and Malone. Great blog posts Gordon. I hope to see you stay here this offseason and would hate to see you go. You’re a great guy, player, and have an amazing future. Thanks for everything Gordon. Amazing to make it to the second round this season. 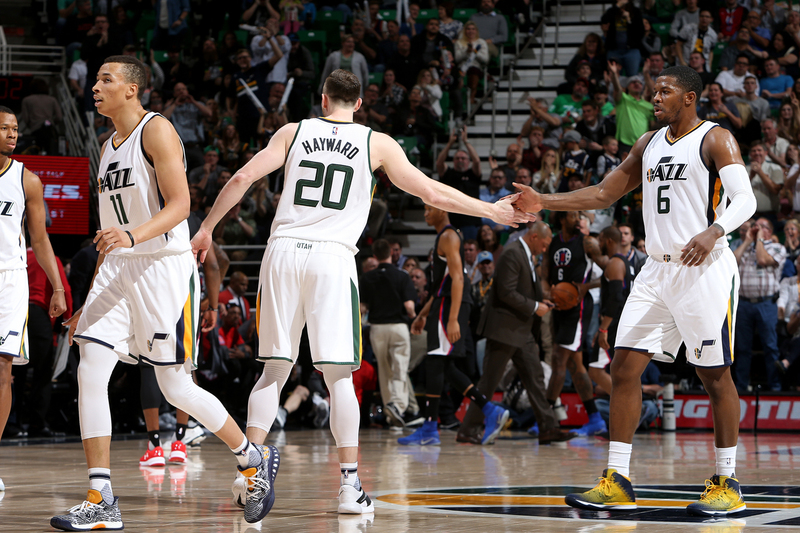 It’s been a great season and we Jazz fans are happy and lucky to have you. You have been an absolute treat to watch this season! I have really enjoyed watching you develop from year to year as you grew into your current self. So happy to see you make the All Star Game, you deserve it! You have worked so hard and put in so much of your time for this great state, I can’t thank you enough. I get joy from watching you play with my 12 young children. Gordon! We love you so much here in Utah!! I’m sure you’ve thought a lot about free agency this off season. I’m hoping so bad that you’ll stay, and I’m positive if you stay that you guys can do something really really special. I think with playoff experience under our belts that the sky is the limit for The Jazz. Thanks for all you’ve done in Utah and I hope you stay so we can do much more!